The dummy lenses could be lens caps. This is truly valuable source material ... archiving would indeed seem called for! This is a great reference thread. Thanks! A few questions... I've never seen the Boom Stick... Is this visible anywhere in the movie? The Incinerator... The top carry handle seems to be very 'M16'... And is the perforated barrel sleeve / vent from an M203 grenade launcher frame? And is the perforated barrel sleeve / vent from an M203 grenade launcher frame? Believe it or not, the exact same MG-42 used for the Smart Guns. They were seen VERY briefly in the background on the 2nd drop ship. Ripley runs past a rack of them on the way to her seat as she was carrying newt right before the big boom. Its real dark and its real quick, but they were there. The sentry guns are a brilliant design and actually, are their mounts actually tarted up MG42/MG3 tripods? At least one version was created by members on here. I've read somewhere that some parts from the MG42 tripod were used for at least part of the sentry gun mount, but it's pretty hard to determine which parts were actually used. 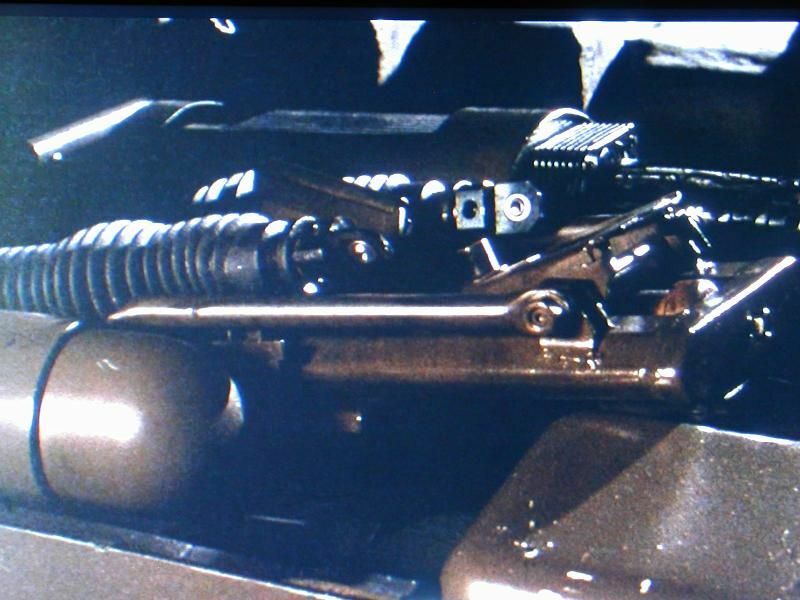 In the scenes following the dropship crash, when Hicks is going over the weapons salvaged from the wreckage, you get a brief glimpse of a dismantled sentry gun in its crate, and a part which looks like it might be part of a heavy MG42 mount.